Ree will face the darkest form of betrayal before the year is out. Seventeen year old Ree McKenna has three goals: get through high school, convince her crush she is more than his best friend’s little sister, and save money for college. Fate, though, has other plans for her. 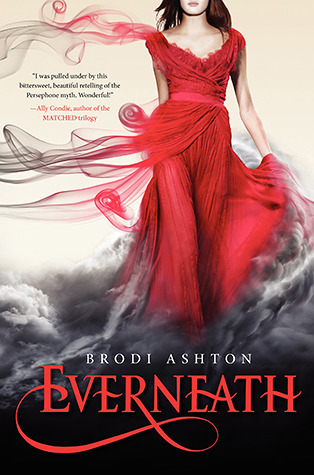 After the untimely death of her older brother, Ree is haunted by dreadful nightmares and terrifying visions. To make matters worse, Ree has started to suspect that something dangerous is stalking her from the shadows. A night full of frightening surprises leaves Ree with unsettling news. Gifted by the gods with unusual powers, she must devote herself to a battle that could very well lead to not only her death, but the demise of everyone she knows and loves. After all, Ree is the only mortal standing between the Earth and utter darkness. 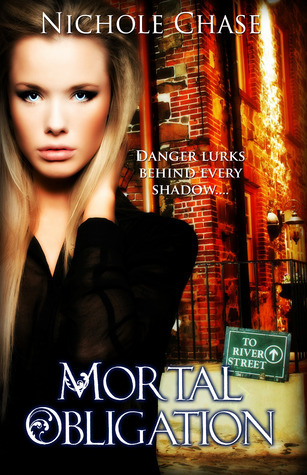 Set in Savannah, Ga, Mortal Obligation is the first book of The Dark Betrayal Trilogy. I want to start this off to let you know….I did NOT like the end! I will let you know more about that later. Mortal Obligation stars high school teenagers. At the beginning they are “normal” teenagers, then something happens and they learn who they really are. I love the fact this is set in the south. I am a Southern girl. If it wasn’t for work and home life…oh, and sleep, I would have been able to set down and read this book from beginning to end. I really really wanted to! Needless to say, life interfered with my reading and I finished in a few days. It was a great book! 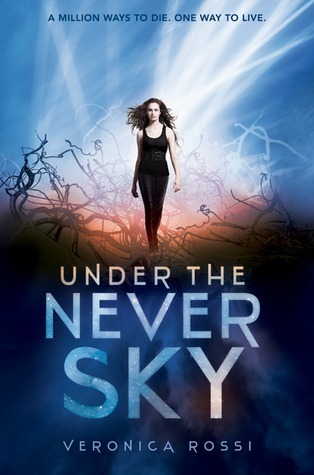 As for why I didn’t like the end….well, because I don’t have the 2nd book! I wanted it to keep going, but alas it had to come to an end. It leaves you wanting! This makes 2 books in a row that I now need to get book 2 for…..really makes me want to get side tracked from my challenge! I didn’t look to see what this book was about. I read it as part of my UtopYA Challenge. 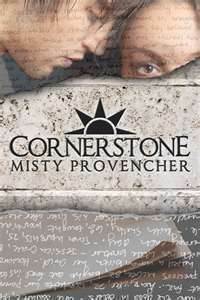 Was I glad that I did get a chance to read Cornerstone! I can’t this was published in 2011 and I just now read it! When I first started the book, I kept wondering what it was about. You learn about Nali and how she came of her unfortunate nickname. Nalena knows what it’s like to be bullied, she’s spent part of her life being nicknamed “The Waste”. Cornerstone kept me interested from beginning to end, and left me wanting more! The first thing I did after finishing was look up the sequel on Goodreads, then Amazon! Teens always come to a point in their life where they have a big decision(s) to make as far as who they want to be. Nali’s is important, not only for her, but for many many others as well. You get to follow her on her journey to her decision.